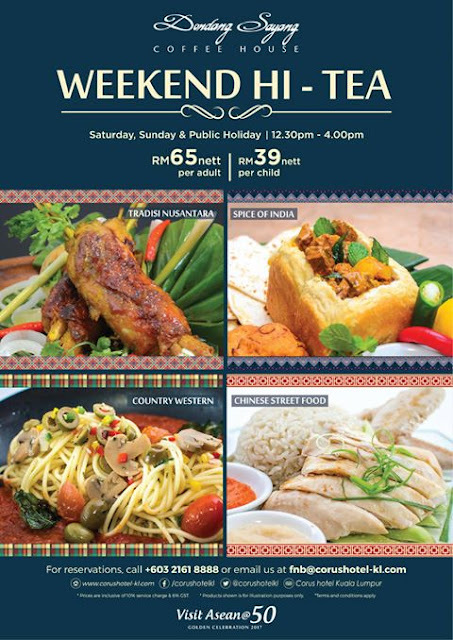 For a weekend treat, check out Corus Hotel Kuala Lumpur latest themed Weekend Hi-Tea at Dondang Sayang Coffee House. 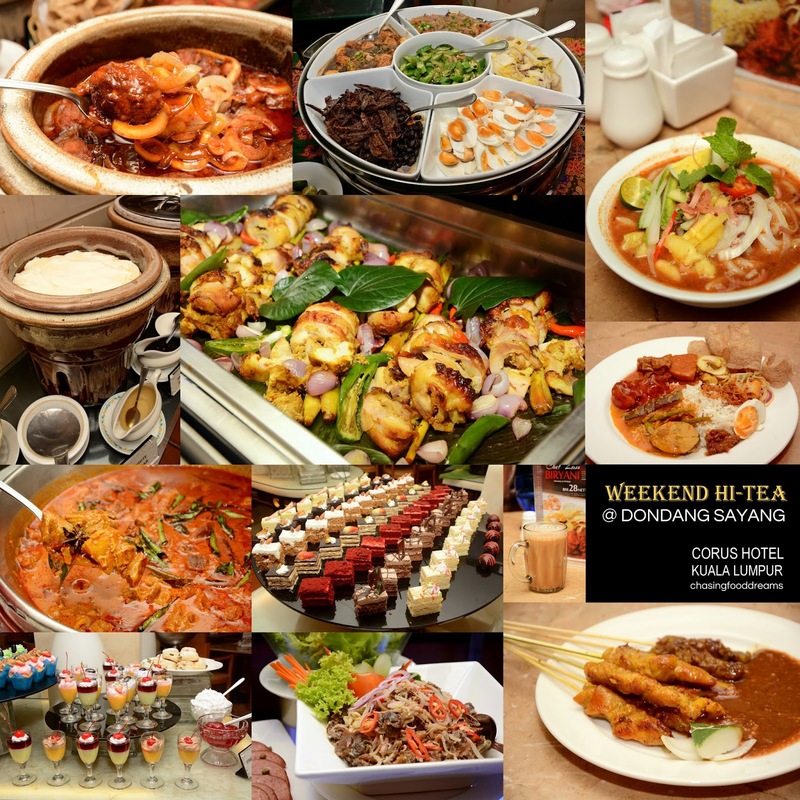 Set in our metropolitan city center, Dondang Sayang Coffee House’s Weekend Hi-Tea are laden with sumptuous spread of Malaysian’s favorites of local as well as international fare. Dondang Sayang Coffee House is an all-day dining outlet serving continental and local specialties. The halal restaurant serves up to 220 diners and offer diners a warm and open ambiance set with comfort in mind. Serving buffets all day as well as a la carte menu, Dondang Sayang coffee house is spacious and set with warm earth tones. Variety is the spice of life, hence the newly revamped Hi-Tea menu features four different themes each weekend – Tradisi Nusantara, Spices of India, Country Western and Chinese Street Food. 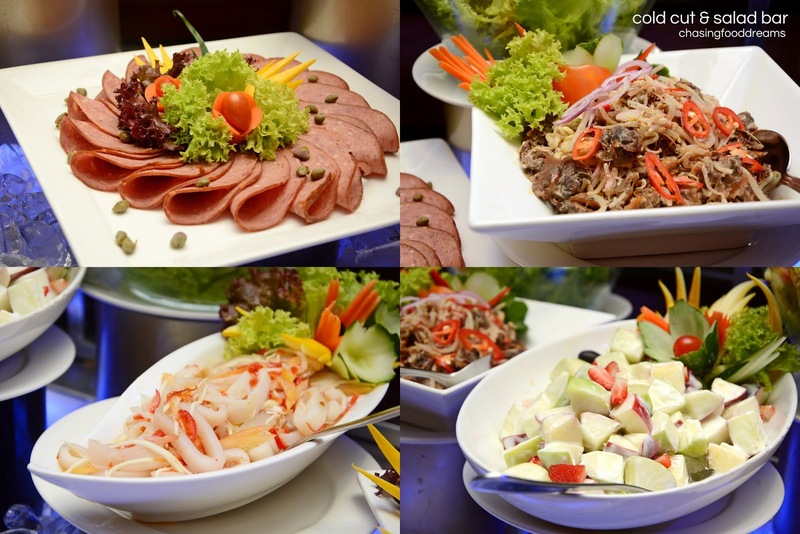 Expect lots of local as well as international dishes to tempt your palate at this very affordable High Tea buffet spread. 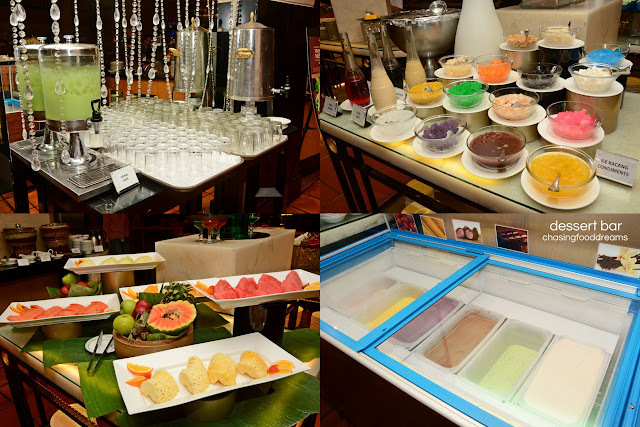 We took a sneak peek at their Tradisi Nusantara Weekend Hi-Tea and was really pleased at the delicious offerings. Inspired by the neighbouring countries of Malaysia, namely; Brunei and Indonesia, Chef Zam and his team have prepared delightful and colourful dishes. 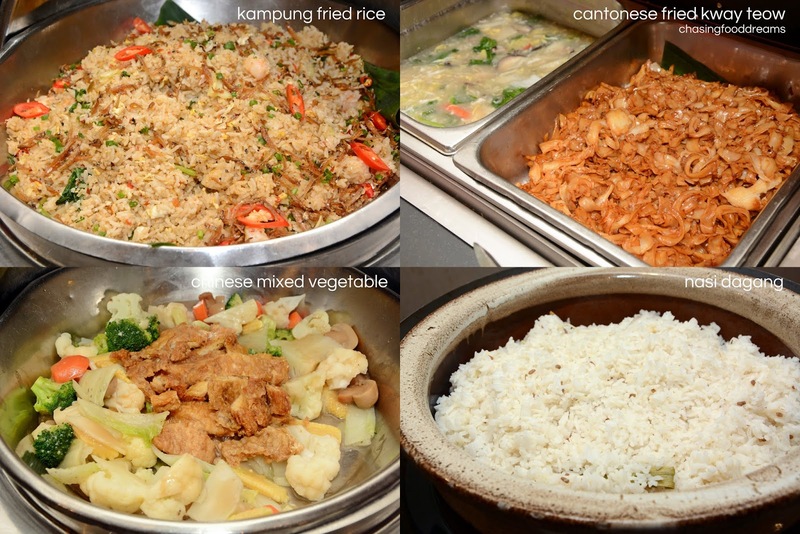 Be spoilt for choice as you take your pick from an array of Asia Signature sumptuous delights include Kampung Fried Rice, Lamb Curry with Potato, Sotong Bakar dengan Sambal Mangga, Ayam Panggang Madu Bali Barongan, Nyonya Assam Pedas Fish with Dried Tofu and many more. Tuck into Chef Zam’s Nasi Dagang with glorious pots of curries and sambals such as Paru Goreng Berlada, Gulai Ikan Tongkol, Sambal Telur and Ayam Masak Merah along with condiments of Telur Masin, Acar, Serunding, Keropok, Sambal and more. The cold cut and salad bar is filled with selection of DIY salad ingredients and dressings, cold cut platter, Cous Cous Salad, Thai Seafood Salad, Beef Salad Malay Style, Kerabu Taugeh Dengan Kerang, Fruit Salad with Yoghurt and more. For something soupy, the Sup Daging Tetel, a classic from Indonesia, is marvelously warming on the palate as well as the tummy. Full of aromatic spices, the pieces of meat and vegetables were tender too. There’s also Cream of Mushroom Soup to be enjoyed with bread and butter. From the noodle station, there’s the piquant and spicy Asam Laksa to whet the appetite. The Chicken and Beef Satay is absolutely delicious so don’t miss this classic favorite here! 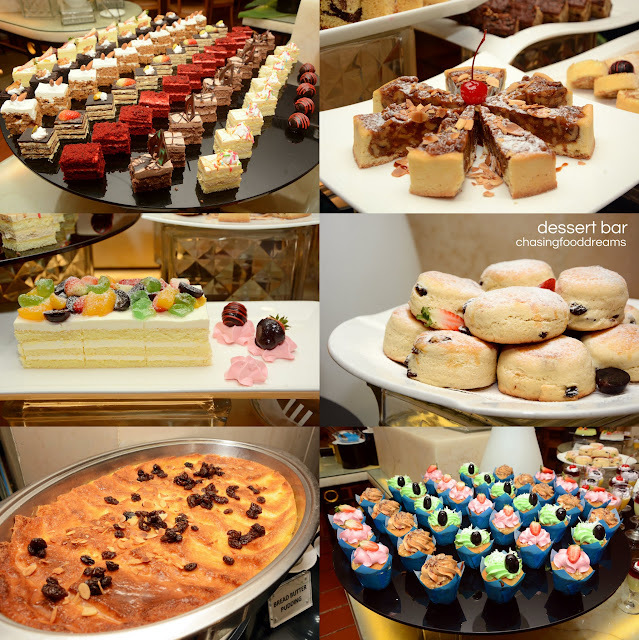 There are plenty of sweet treats to keep everyone happy. 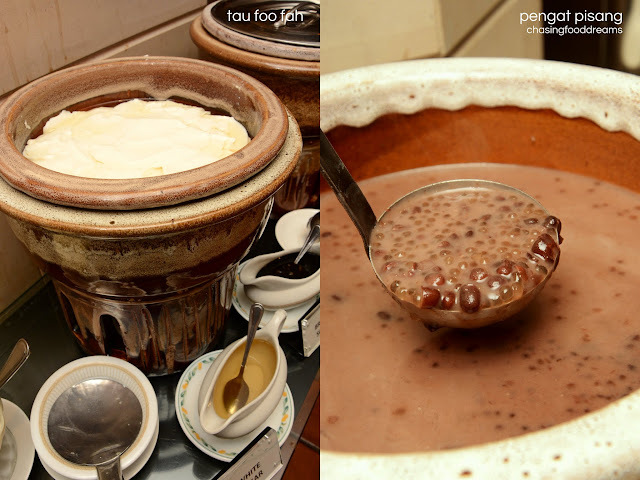 From local Kuih Muih to international desserts such as cakes, scones, pudding and jellies, cupcakes, Bread and Butter Pudding to Tau Foo Fah, enjoy these with a cup of hot Teh Tarik or coffee for a delightful ending. The Bread and Butter Pudding is divine! Golden crisp on top and soft pudding creaminess on the bottom, served with Crème Anglaise. Your post attracted me very much.I could collect many information from your post.And your post made my time more interesting one. This is a fun place with a two-faced appeal. The top floor at New York Event Venues is for all that sass and oomph. It was super packed, but we just wanted to check it out. Loved the solid selection of quality craft beers.